Is Sugar Really That Bad For You? | Health Stand Nutrition Consulting Inc.
Read on to explore the science of sugar, how much is OK to eat and some of the most asked questions related to this somewhat sticky topic. Confused about sugar? You are not alone. 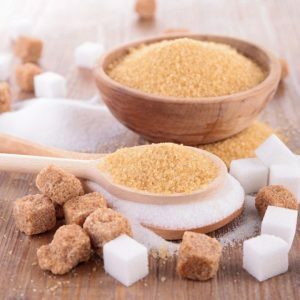 In our nutrition counselling practice, our team of Calgary nutritionists often get asked how much sugar is ok to eat and our thoughts on sugar substitutes. Concerned parents, those with weight concerns and individuals with diabetes are seeking clarity about many aspects of sugar. 1.What is the difference between added sugar and natural sugar? Sugar is a type of carbohydrate. Our brain and central nervous system run exclusively on carbohydrate for energy, and our muscles use carbohydrates for fuel. To our body, regardless if we consume honey, brown sugar, white sugar, agave, maple syrup, coconut sugar, fruit, vegetables, milk, or yogurt, these all contain simple sugars made up of single and double units of sugar. The difference between them all is nutritional density, or the amount of vitamins, minerals, phytonutrients and fibre they contain. There are also differences in what is known as the glycemic index or how fast the sugar enters the bloodstream. Health guidelines are targeting a reduction of added sugar, which include glucose, fructose, sucrose (table sugar) as well as sugars naturally present in honey, syrups, fruit juices and fruit concentrates. Added sugar is found in foods such as pop, cake, cookies, chocolate bars, frozen desserts, granola bars, and more. Health guidelines are not suggesting you reduce natural sugar found in foods such as fruits, vegetables, milk, and yogurt. 2. Why is eating too much sugar bad? Similar to consuming too much of anything, too much added sugar can increase the total calories of your diet and increase the risk of obesity. Excess added sugar consumption is also a large concern for tooth decay in adults and children. Taking in too much added sugar can also take the place for other nutrient dense foods that are rich in nutrients such as vitamins, minerals, and fibre that we need for good health. There is also growing research to suggest that high added sugar consumption can increase triglycerides (a blood fat similar to cholesterol that can increase the risk of heart disease). You certainly don’t need to reduce healthy natural sugars found in vegetables, fruits, milk, and yogurt. The key message here is EXCESS added sugar is harmful. You don’t need to eliminate sugary foods altogether. There are no bad foods, only bad overall diets. 3. How much sugar is safe to eat? The World Health Organization (WHO) recommendations suggest added sugars should make up less than 10% of your total calories per day, but also that a reduction to less than 5% of your total calories intake would have additional benefits (primarily for dental health). While adults need variable levels of calories, for a 2000-calorie diet, 10% of total energy would be the equivalent of 50 grams of sugar per day (about 12 teaspoons). A couple of bought cookies without icing have at least 15 grams sugar (4 teaspoons). 4. How do I read a food label when it comes to sugar? Reading food labels to determine how much added sugar is in a food is actually currently quite difficult. This is because total sugar is currently listed on a food label and includes a combination of added sugar as well as those that are naturally occurring in foods such as fruit, vegetables, and dairy foods. It can be confusing on a label to see foods such as a carton of plain milk or package of baby carrots displaying grams of total sugar. These foods obviously do not have sugar added to them, but contain natural carbohydrates (milk contains lactose and carrots contain fructose and glucose). 5. Does sugar cause hyperactivity in children? No. Feeding sugar to kids does not cause hyperactivity. Research has also not supported a link between eating sugar and the behavior of kids with Attention Deficit Hyperactivity Disorder (ADHD). What research has shown is that when kids have excess energy, it may be more linked to the experience itself. For example, the fun activities at recess time or at a birthday party leads to excitability (not necessarily the sweets fed at that time). I will, however, say that balanced meals and good nutrition does make a huge difference in how kids feel and their overall energy levels throughout a day. If your child does not eat enough healthy food, is undernourished, or fails to consume meals with a good balance of both carbohydrate and protein to stabilize blood sugar, expect their mood and ability to concentrate to be negatively influenced. 6. Can I eat sugar if I have diabetes? Yes. Small amounts of regular sugar and dessert can be included, but you do need to be savvy about how much and also what else you are eating with them. Limit obviously sugary foods such as pop and candy to get your blood sugars under control. Once you have your blood sugars managed well, work with a dietitian to help you understand how to incorporate desserts. If you are going to have a sweet dessert, look for recipes that use less sugar and icings in general. Also, eat your dessert separate from a meal so you can spread out how much carbohydrates you are having at one time. Lastly, head out for a walk or any type of physical activity, since this is one of the most effective ways to lower your blood sugars. Also, keep in mind that diabetes is about managing carbohydrate intake, not simply about avoiding sugar. Spreading your food out throughout the day is critical so your body can handle a reasonable amount of carbohydrate at one time. 7. Should I avoid sugar altogether? No one food or nutrient contributes to obesity, disease and health issues. There are no bad foods, just bad overall diets. Similar to the trends we have seen in the past for low-fat diets and low-carb diets, remember to keep things in perspective. Sugar is not a villain and you don’t need to have a sugar-free diet. If you have been consuming an excessive amount of pop, sugary beverages, candy, desserts and other sugary foods, of course you could benefit from reducing these. You don’t need to eliminate them, but be clear on what you really love and save room for these favorites. You won’t find me eating candy and pop since they are not my favorites, but I do love chocolate and homemade baked goods such as muffins and cookies that contain regular white or brown sugar. I also enjoy maple syrup on pancakes and a sprinkle of brown sugar on oatmeal. You can eat anything, just not everything – the key is about being intetional about your choices. 8. 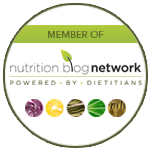 Are sugar substitutes safe? You may be wondering if you should eat sugar-free foods or switch to diet pop and alternative sweeteners instead. At this time, Health Canada has approved alternative sweeteners as safe when consumed within the Acceptable Dietary Intake (ADI). For a good consumer friendly overview highlighting the ADI’s check out this table by Diabetes Canada: SAFETY OF SUGAR SWEETENERS. At the end of the day, the thing to remember is neither a diet based on a high level of sugar, or a high level of alternative sweeteners, is ideal. I have noticed that clients of ours may find it hard to acquire a taste for more whole natural foods we want them to eat more of when they are constantly sipping artificially sweetened flavored waters and diet pop. My personal vote? As a foodie, I consider alternative sweeteners fake foods that simply don’t taste good and instead prefer to have a bit of the real thing (ie/ sugar). Make choices that reflect eating fully (healthfully AND soulfully). What do you really love? Keep some of these and make choices around that. For me, that means homemade baked cookies and muffins made with regular sugar and, of course, saving room for chocolate (after all, I am the chocoholic dietitian!). 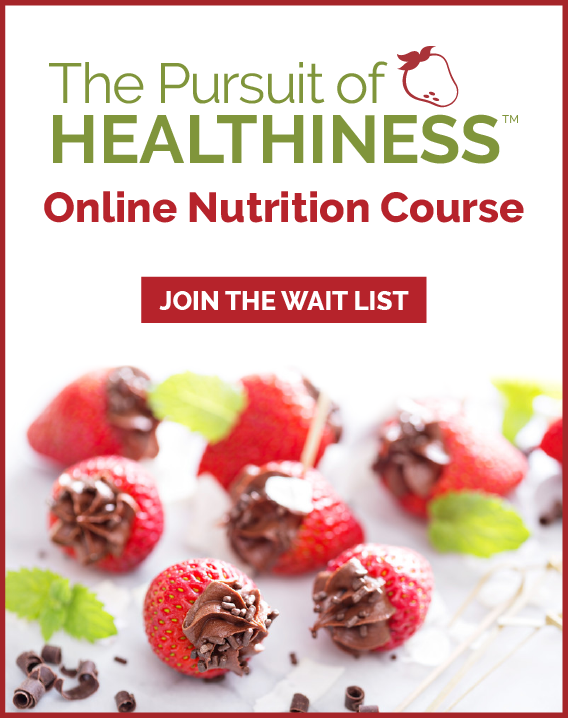 If you are struggling with how to manage cravings for sweet and savory foods, emotional eating or how to make healthy eating easier, don’t struggle alone. 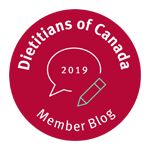 Reach out to our team of Calgary nutritionists for help and don’t forget to see if your employer health benefits cover the cost of a Registered Dietitian.